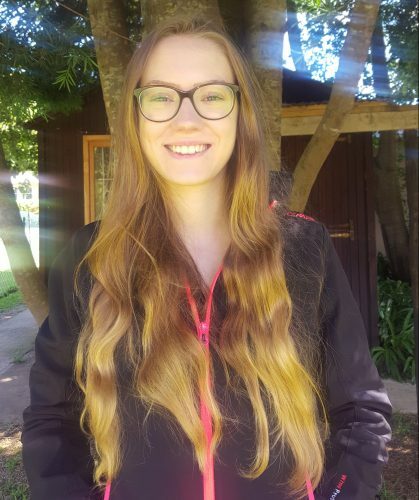 Rebekka has just completed her schooling and has decided to do volunteer work in South Africa for her holiday programme. The motivation behind this decision is that she would like to experience a new culture, learn from it and take home some of the lessons learnt. She has had the opportunity to visit some of LETCEE’s partner communities and feels it has been and continues to be a great experience. She excitedly speaks about her experience at the Izingane Zethu Centre at The Barracks and how despite the fact that she cannot speak nor understand IsiZulu, both the kids and herself had so much fun. She describes her first visit to the centre as great and recalls that everyone gave her a hug and gave her a warm welcome. ” I have met very friendly and welcoming people and I noticed that they are thankful for all that they have and receive…particularly the toy libraries.”, says Rebekka. She has also observed that the kids in our play groups share toys without fighting and that they are resilient, even amidst the social ills. ” One of the greatest lessons I will definitely be taking back to Germany with me is the importance of being thankful. For an example, in Germany, we are not experiencing water shortage and being in South Africa and Greytown in particular has made me realise the importance of gratitude even for those things that one may take for granted.”, says Rebekka. We wish her a wonderful stay in South Africa and at LETCEE and hope that she takes back home wonderful memories and valuable lessons from the work that we do.